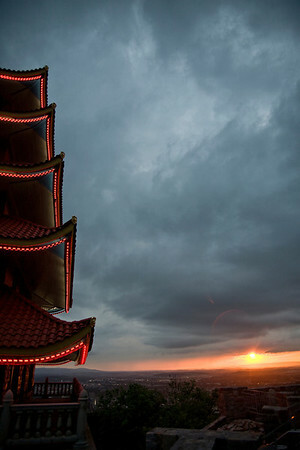 The Pagoda sits on top of the southern end of Mt Penn to the east of Reading PA, and has served as a landmark visible from almost anywhere in the city. Built in 1908, it was intended to be a hotel and restaurant as part of a resort development. 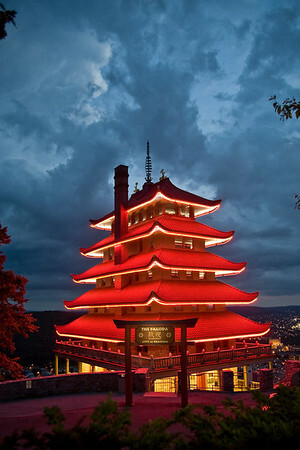 After the resort plan was abandoned, the Pagoda was donated to the City of Reading in 1911. 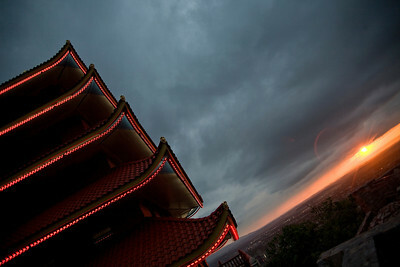 The Pagoda is still owned by the City of Reading and is a very popular tourist attraction which now houses a cafe and gift shop. It serves as an iconic image for the City of Reading and was listed in the U.S. National Register of Historic Places in 1972.